More than four in 10 (41 per cent) UK HR directors say that compared to three years ago, they have increased their use of video conferencing to conduct interviews. Highlighting the increased challenges that companies are facing to attract suitable candidates, nearly nine in 10 (89 per cent) senior executives across UK businesses report that it is at least ‘somewhat’ or ‘very challenging’ to find skilled professionals, with small (91 per cent) and medium (90 per cent) sized organisations finding it the most challenging. 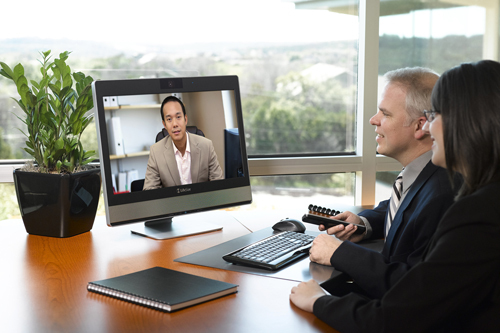 When asked why their company increased the use of video conferencing to conduct interviews, more than a half (56 per cent) of HR directors said they now have access to better quality video conferencing tools, whilst four in ten (41 per cent) cite an increase in the recruitment of domestic, out-of-town candidates as one of the main reasons. The research also reveals that UK companies are looking even further afield than purely out-of-town, domestic candidates. A third (32 per cent) of HR directors said that video interviews had risen in the past three years because of increased recruitment of international candidates. This mirrors the number of those looking to shortlist candidates for in-person interviews (32 per cent) and the increased prevalence of free or low-cost tools, such as Skype (31 per cent).